Named after a fairyland in J. R. R. Tolkien's high fantasy novels The Lord of the Rings and The Silmarillion, Valinor is a restaurant for French food lovers, located approximately three minutes from Ogikubo station. Opened in 2011, the kitchen is now manned by Chef Noriaki Owa, who was born and raised in the nearby Nakano area. Perhaps unknown before starting at Valinor, Owa carries with him impressive culinary experience. 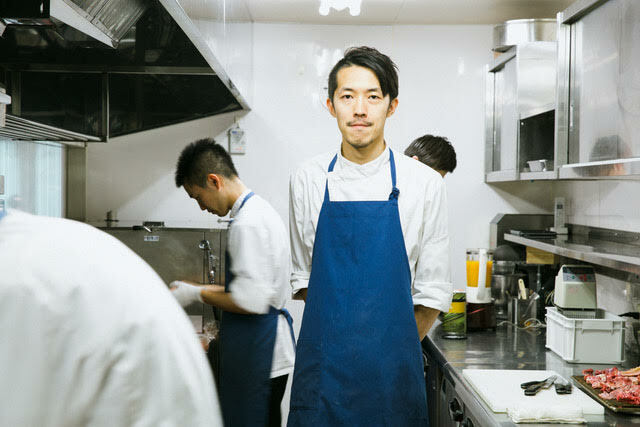 Owa first worked for seven years at Nambutei in Hibiya Park, a place known for the training of renowned chefs. Here he learned all about French cuisine, and was in charge of dessert. Upon leaving Nambutei, Owa moved to France, and began work at Michelin single-starred Au Comte de Gascogne in Boulogne-Billancourt, in the western suburbs of Paris. Within a couple of weeks he was the chef de pâtissier, and over three years he prepared the restaurant’s speciality desserts along with creating his very own. And it’s exciting to know this when you visit; Chef Owa thinks desserts should be a sumptuous, memorable affair, and he approaches desserts at Valinor with this very mindset. After Au Comte de Gascogne, Owa worked at Chef Jean-François Piège’s namesake restaurant in Paris. The Michelin two-starred restaurant was a unique location consisting of both a gastronomy restaurant and a casual brasserie. 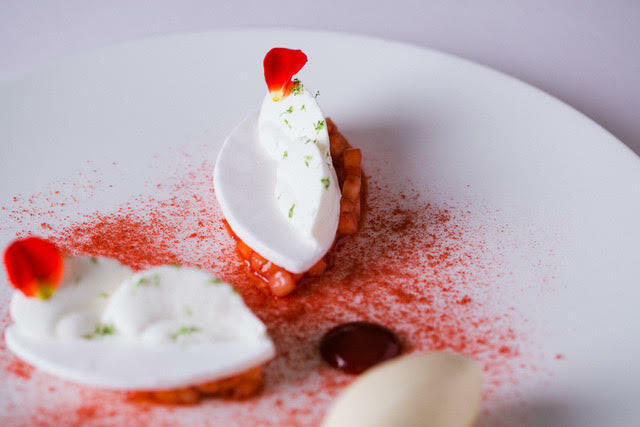 Owa initially worked the gastronomy restaurant under Chef Jean-François Piège, whose dishes are a blend of different elements elegantly coexisting upon their plates. Upon his return to Tokyo some seven years later, Owa discovered there are many quality domestic ingredients ideal for French cuisine, and these are often at use in his own creations. Owa’s dishes usually made with multiple elements, but never feel overly complicated. Think of Valinor as a fairyland for French food lovers to enjoy dishes by an experienced and humble Chef, creating dishes with a careful attention to detail. 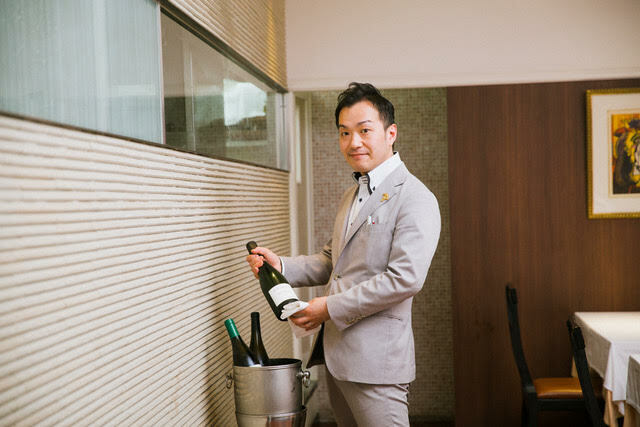 The wine list is comprised of a selection chosen by Valinor’s sommelier, Kazuo Zama, who knows Chef Owa’s dishes better than anyone. 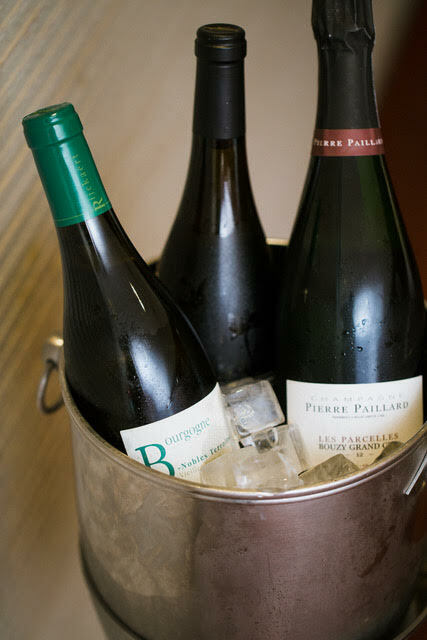 The 40 red and 40 white wines are exclusively from France, with approximately 60% from Burgundy, and the rest largely from Bordeaux. The main price range is from 6,000 to 8,000 yen. There are also 30 Champagnes priced from 8,500 yen, and a French sparkling wine priced 6,500 yen. Three red and three white wines are available daily by the glass, and are priced from 1,200 yen. Champagne is also available by the glass priced at 1,800 yen. If a national holiday falls on a Monday, the restaurant will be open that day and instead be closed on the following Tuesday.